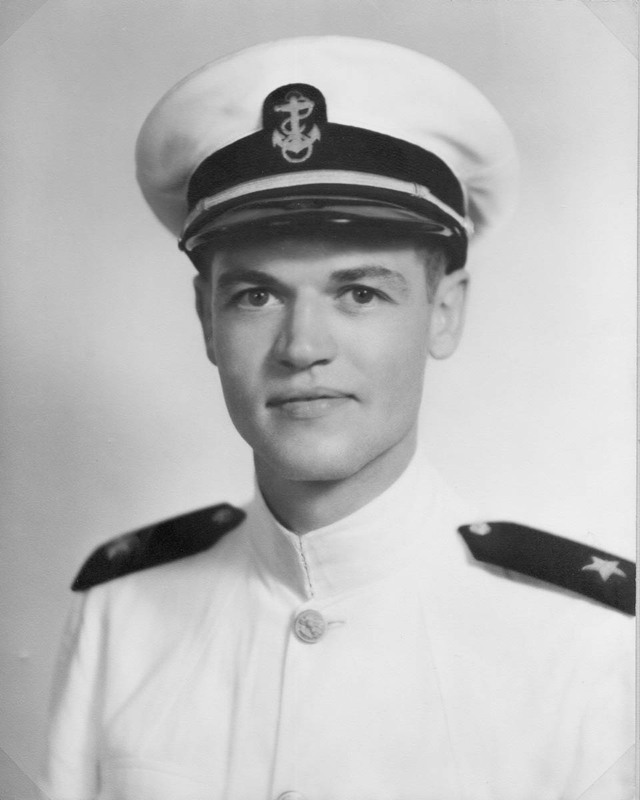 Lt William Q. Punnell – William entered the Navy Flying Corps in 1940. He had Training at – Wold – Chamberlain Field, Minneapolis, MN – Pensacola, Fl – Corpus Christi, TX This photo is of Bill, in training, June 1940 Project Recover and BentProp Project are committed to bringing the MIA home. The importance of family was evident at the funeral of Navy Reserve Lt. William Q. Punnell, a World War II pilot buried with military honors at Arlington National Cemetery nearly 74 years after being listed as Missing In Action. Dennis Kelvie and Bill Kelvie, Punnell’s nephew and grandnephew, traveled from South Dakota to pay tribute to the uncle they’d heard stories about but never met. We, at BentProp and Project Recover, were honored to attend the funeral as well. We followed the caisson carrying the flag-draped casket over rolling hills at Arlington on the blistering hot day in May. Row after row of simple white crosses marked the solemnity of the occasion. Collectively, we thought about Lt. Punnell, what we’d come to know about the man; his story, sacrifice, and family. Privately, we thought about our own path here. The search that had led to this moment had begun more than 10 years ago. Always, our most important consideration is bringing closure to families. Looking around, the importance of family — even after all these years — was evident. Clearly, it was true even when the MIA was known only in family legend and not life. The tragic loss of a loved one without closure reverberates through the generations. Listening to the mournful call of the bugle playing Taps, we thought of Punnell’s parents, his sisters, his wife, and the son he’d never met. They have all since died but grieved in their lifetimes for their son, brother, husband, father. Punnell was a Hellcat pilot and the acting commander of the VF-14 Fighter Squadron based off the USS Wasp in 1944. The US had just begun the Mariana and Palau Islands Campaign there. The goal to neutralize enemy forces in the Central Pacific in order to retake the Philippines and, ultimately, secure a base close enough to run bombing missions into Imperial Japan. On June 25th, Punnell was flying in the lead position on a strafing mission against enemy positions over the islands of Palau. The planes were under intense anti-aircraft fire. His plane was seen taking a direct hit, and he crashed into the sea. Dennis Kelvie was just two weeks old when Punnell crashed. He said his uncle was the “hero of the household.” He named his first son after the uncle he’d never met. The family assumed he would be missing forever. Project Recover located Punnell’s downed Hellcat in 2014. The impact of a finding a family’s MIA touches family deeply even when they didn’t know them personally. Time and again, people say they felt emotions they didn’t know they had. People who only knew the MIA through family legend are surprised by the depth of their grief and exhilaration. The experiences reveal the importance of family, the enduring nature of loss, and how that loss echoes through the generations. Kelvie received a 200-page report from the US Navy Casualty Office. It contained photos and details he had no idea existed. They turned over Punnell’s personal effects found at the crash site. With some wonderment, Kelvie said he’d received his uncle’s shoes, ring, and watch. Even though his uncle had been his hero — a kind of Superman — to him his entire life, he hadn’t felt real. Dennis hadn’t known it until the moment he learned he’d been found, because suddenly he felt real. He felt a connection he didn’t know was missing and didn’t know was possible. Kelvie was so moved by the experience, he spoke to other families at Defense POW/MIA Accounting Agency meeting in Boise. He learned with astonishment at the age of 73 that nothing is impossible. He wants to share his experience with others families and to encourage them to not give up hope. To see the entire photo gallery, click here: Remembering Lt. William Q. Punnell Images and Slideshow. Pat Scannon, MD, PhD, founder of BentProp and co-founder of Project Recover, began looking for Punnell’s Hellcat a decade before it was finally found. He had learned there were there were many servicemen who remained MIA from marine crashes near the islands of Palau. “I decided I would do something about it,” Scannon said. The team spent hundreds of hours looking for the Hellcat crash, In BentProp’s early days, the team was capable of searching a maximum of a few thousand feet a day. Once they’d established Project Recover, a partnership with School of Marine Science and Policy at the University of Delaware and the Scripps Institution of Oceanography, their search capacity shot up to 4 kilometers per day with technology. “That’s like going from riding a horse to flying a jet in terms of the extent of area we can cover,” Scannon said. On March 28, 2104, the team finally found what they were looking for. The team had a working hypothesis as to Punnell’s identity. However, once the site was located, the Defense POW/MIA Accounting Agency began the meticulous process of officially identifying the osseous remains. In 2017, using the DNA of Dennis Kelvie, the identification was complete. The DPAA accounted for Lt. William Punnell. BentProp and the entire Project Recover team are grateful for the privilege of helping to bring recognition to Punnell and closure to his family. What an honor. Bringing home loved ones gone from all those past years is amazing. Very touching tribute. Wonderful and touching close. With the Honor Guard. Thanks for sharing these stories. You are welcome for our stories. Thanks for following our MIA project. Again, how grateful the families must feel upon the repatriation of their family MIAs even after those long lost years of unknowing. Thank you BentProp. Thank you Mark. You are on our list for future missions.